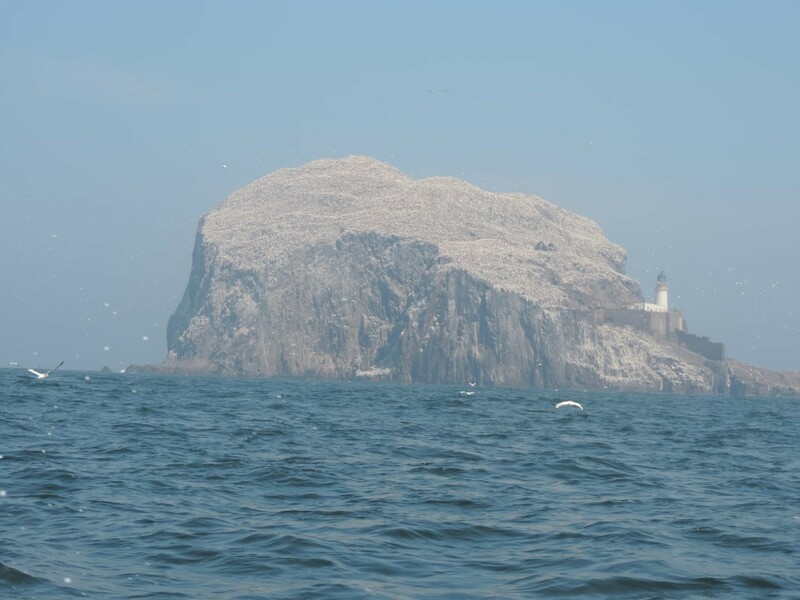 The Bass Rock is home to over 150,000 gannets at the peak of the season. The gannets spend most of the year on the Bass. They stay until the end of October when they set out on their long journey south. Many going as far as the west coast of Africa. The lower ledges of the Bass Rock are home to shags, guillemots and razorbills, with seals hauling up on the rocks below. My photo is of the Bass Rock, it was a chilly but magical day and the views from North Berwick beach were stunning. Our best friends Bruce and Val live in the beautiful coastal town so we are lucky to visit on a regular basis. They have been on a few Pinnacle Walking Holidays, their favourite being the Dolomites, but returning home to such a lovely place is a great bonus.